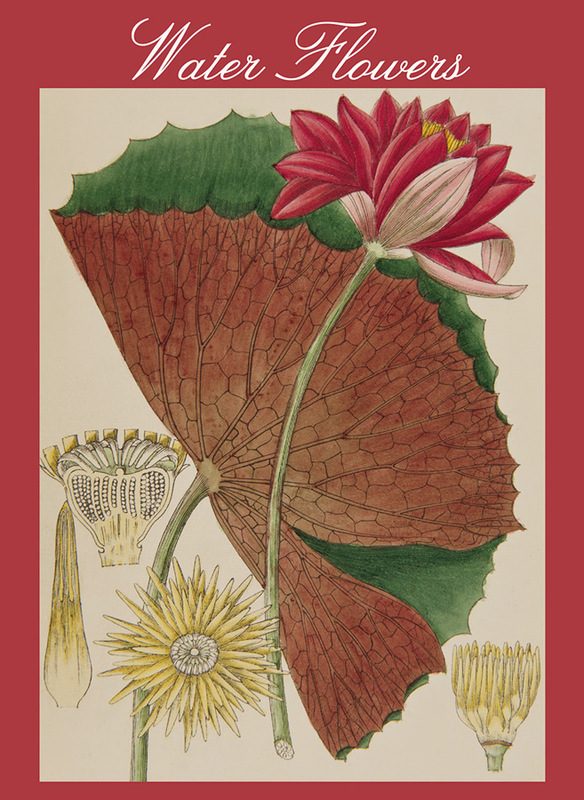 It’s long been decided: the lotus of India and the water lily of Egypt are little related. They are both plants, and, aside from resemblance, that is about it. But at the turn of the nineteenth century, botanist, artist, and engraver Henry Charles Andrews was not so sure. 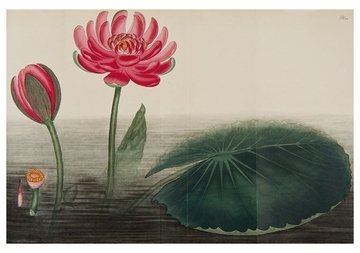 He decided that the two would need to be compared side by side. Andrews’s botanical illustrations have been heralded more for their artistic qualities than their scientific accuracy, but his caution in uniting the plants was warranted. Today, it’s understood that the plant called the Egyptian lotus (Nymphæa lotus) is no lotus, but one among a family of water lilies completely separate from the Indian lotus (then classified as Nelumbium speciosum). 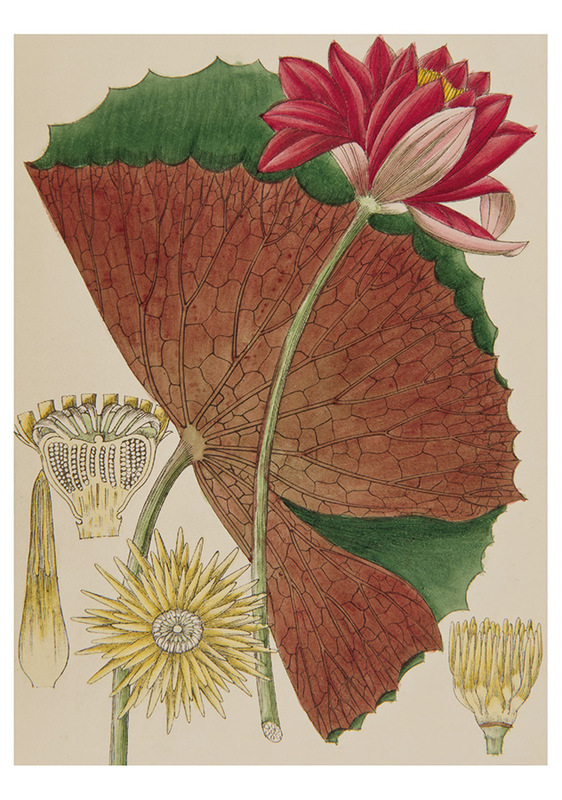 Robert Wight’s lithographs from his Illustrations of Indian Botany, published thirty-six years after Andrews’s discussion of the matter, provide opportunity for comparison of the plants. 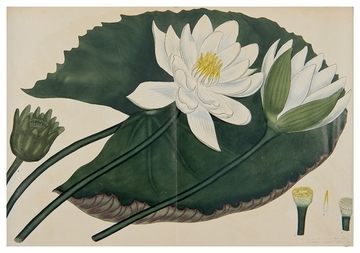 Andrews’s Nymphæa lotus is printed here alongside Wight’s Nelumbium speciosum (in addition to their depictions of a red-flowered water lily). 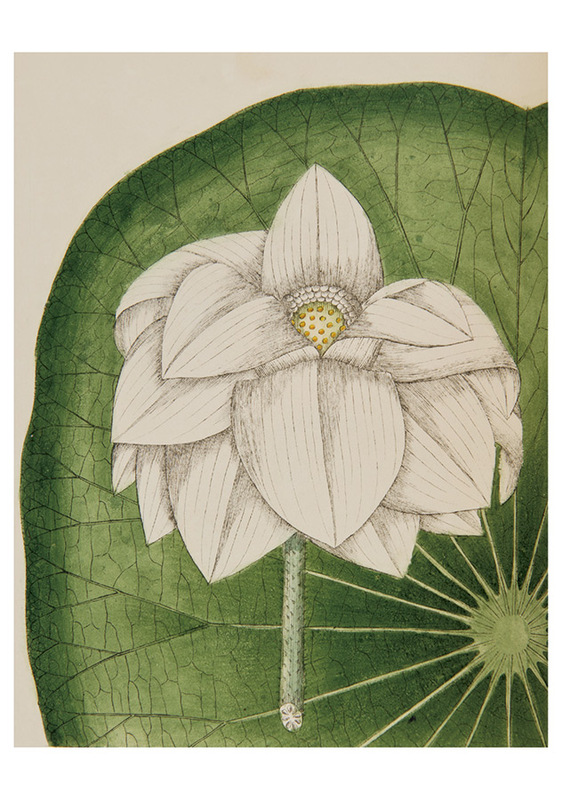 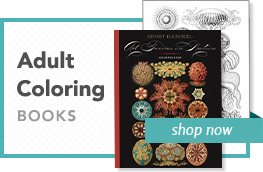 Each has been reproduced from works in the collections of the Royal Botanic Garden Edinburgh.